In October 2018, following 10 years of service as CPQCC’s Director of Quality, Paul Sharek, MD accepted a new position as Vice President and Chief Quality and Safety Officer at Seattle Children’s Hospital. Although we were sad to see Paul go, we are pleased to announce the following changes in our leadership team. Courtney Nisbet, RN, MS now Associate Director of Quality, will take over the leadership and management of the Perinatal Quality Improvement Panel (PQIP). In addition, Courtney will act as Co-Director of the ongoing Grow, Babies, Grow! quality improvement collaborative. She will be joined as Co-Director by Kurlen Payton, MD a Neonatologist and Associate NICU Director at Cedars-Sinai Medical Center. Jochen Profit, MD, MPH will take on additional responsibilities as Chief Quality Officer, developing and directing CPQCC’s quality improvement strategy and offerings. 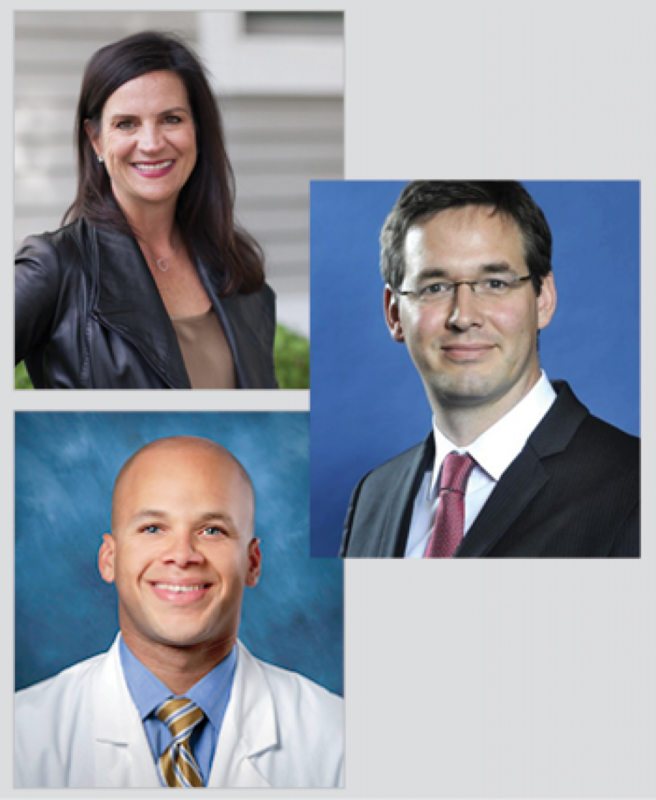 We would like to congratulate Paul, Courtney, Kurlen, and Jochen on their achievements and look forward to continuing to advance quality improvement for California’s most vulnerable infants. To learn more about our team, please visit the Our Staff page.